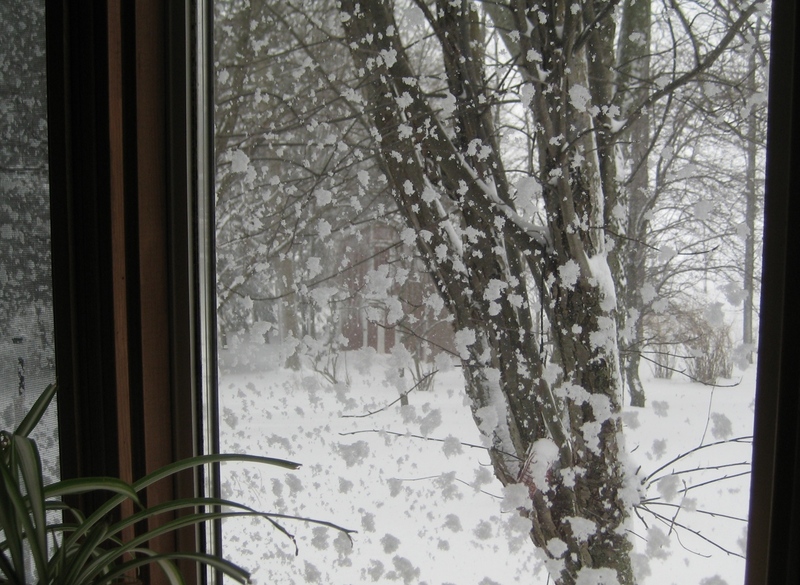 I am trying to think spring. 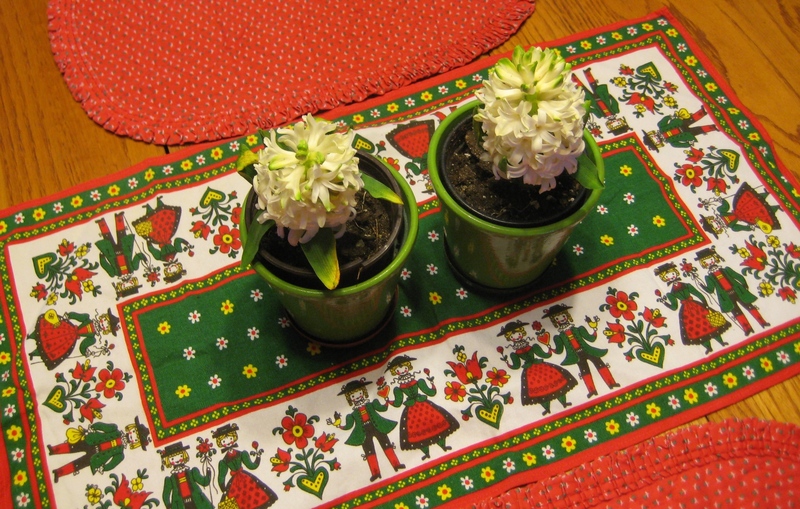 I bought some hyacinths at the Kitchener market last week. they were lovely for a few days but as the table is right next to the wood stove, they bloomed fast and are done in a little over a week. But for a few days it smelled like spring! Just after Christmas the lovely Lisa at Bobo Bun blog (you can click on her name to take you to her blog) started a 4 Happy Things swap. Bloggers sent her their info and she matched us up together with another blogger and we went off to think of 4 happy things to swap. 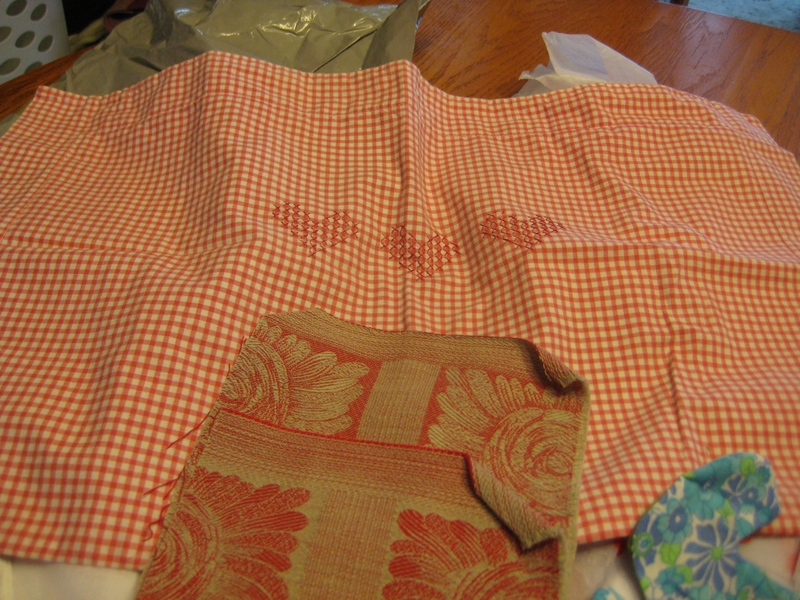 I was matched with Cass at Upcycling, Vintage and Other life… ( < that is anotther link to another great blog!) She and I exchanged a few email and happily discovered that we had lots in common even across the pond. Though I admit that I am a bit jealous that since she lives in the very south of England she is already working in her allotment garden, where as I have this outside. It will be quite a while before I am tilling a row in the garden. I had lots of fun gathering up things that made me happy and that I hoped would tickle Cass. I wish I had thought ahead and taken a picture of the parcel as I sent it because it was quite colourful! Last Friday Mr Murfin arrived home from work, stopping at the mail box as he drove in and had a parcel for me!!! It was very exciting and all dinner preparations ceased for the grand opening. OOOO red polka dots! 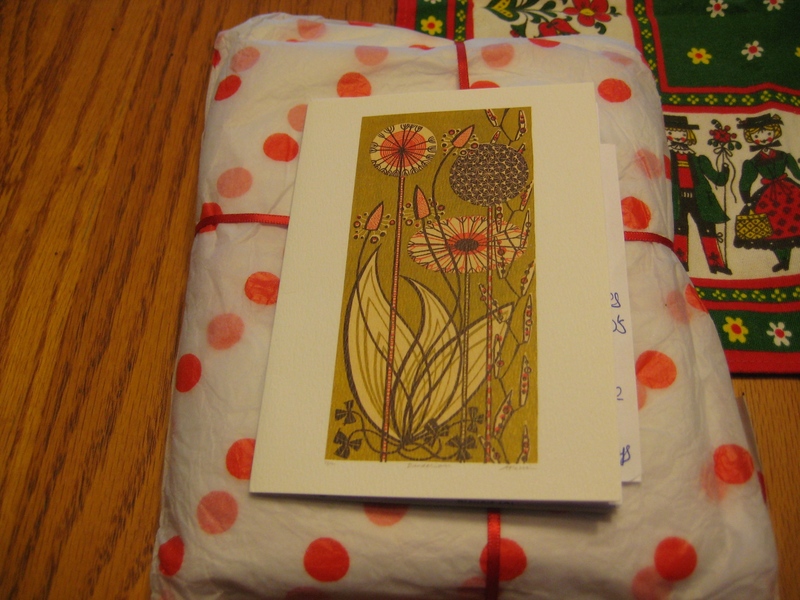 and a pretty card with a pattern inside. 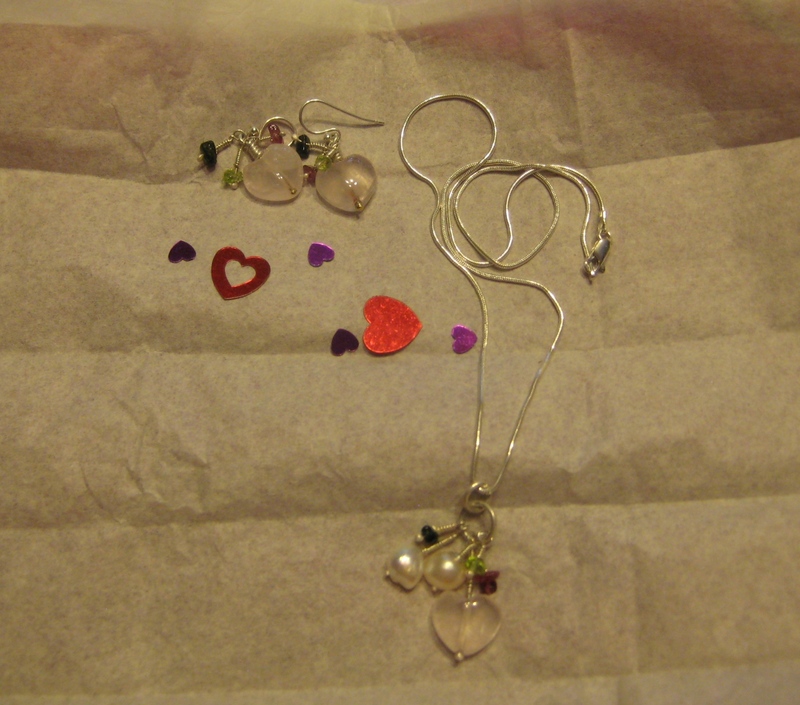 Lovely jewelry that Cass made herself. I am all thumbs for stuff like that. I put it on immediately and LOVE it. So delicate and sweet and it will go with lots of things I wear. Those are little confetti that she added too. This is a gingham pillow sham with embroidered cross stitch hearts. I already have a pillow in it and it is in my chair in the living room. 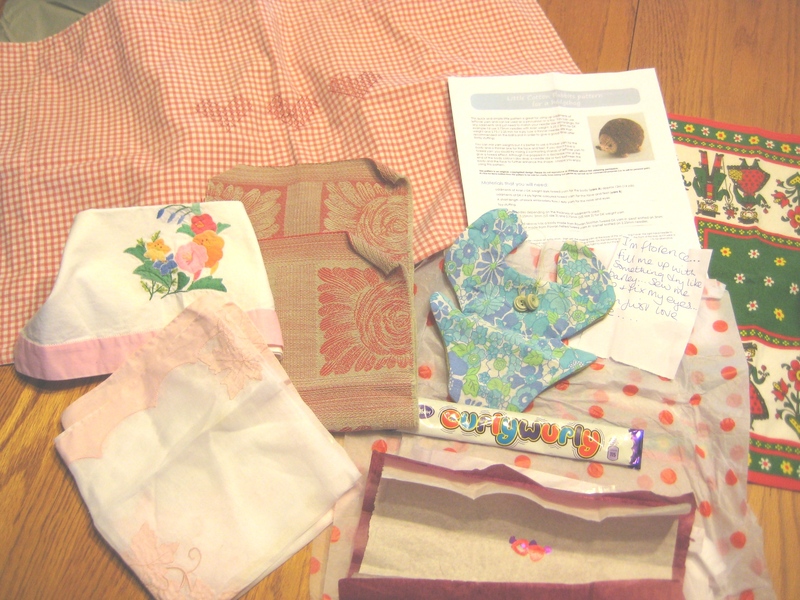 the scrap is some heavier material and I immediately saw it as a little pouch bag. Something to work on! 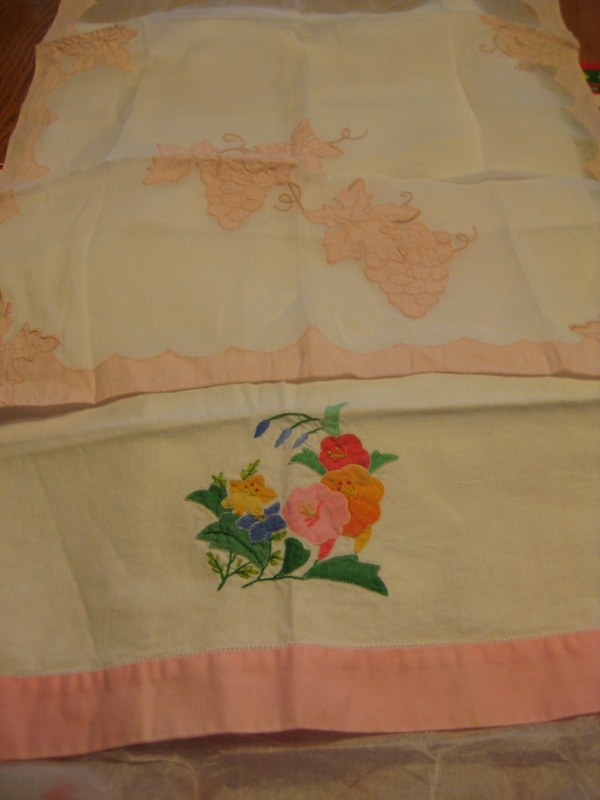 Two lovely vintage linen pieces. So pretty! I am spoiled! Here it all it together, except the jewelry as I already had it on… I forgot to mention the knitted hedgehog pattern. Since both Cass and I love the little hedgies. So much stuff and it was all happy-making! This was fun to do. I have made a new friend and found a new blog to follow. 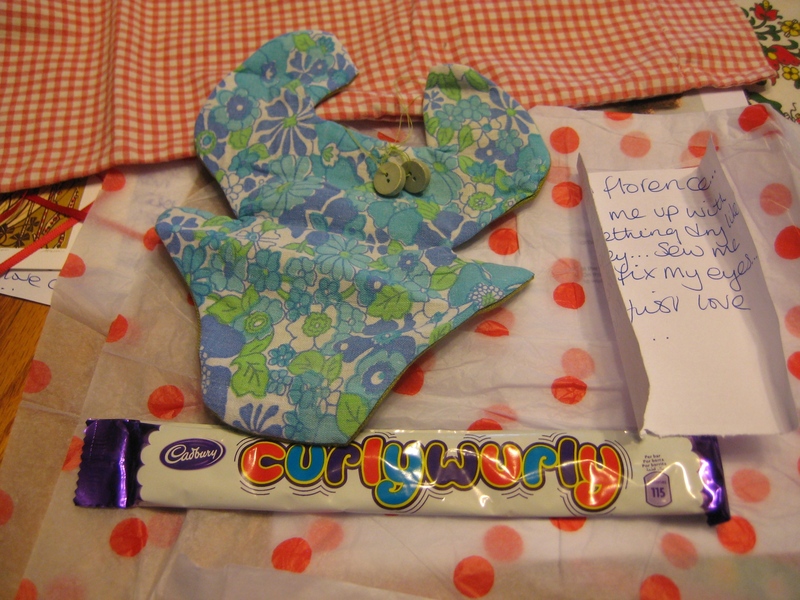 A big thanks to Lisa for putting it all together and hugs to Cass for the lovely swap. I hope Canada post hurries up and gets your parcel over that ocean.